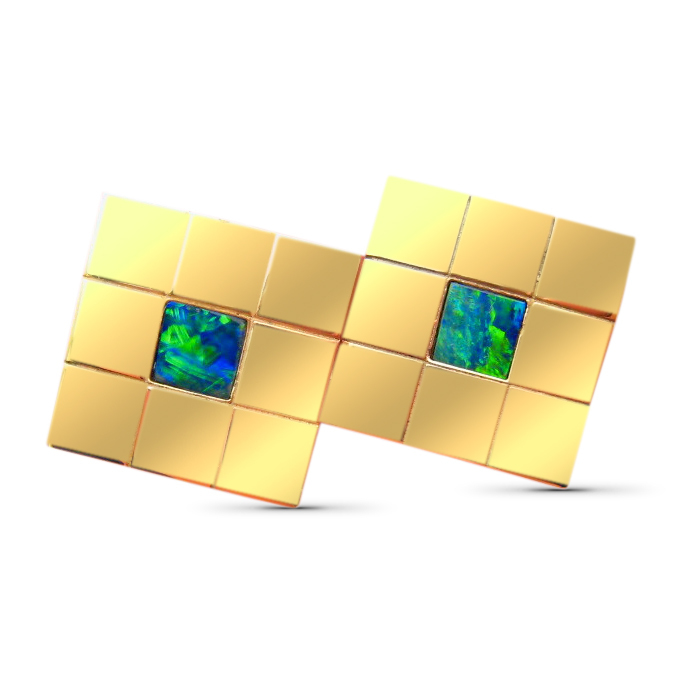 Opal cufflinks in heavy 14k Gold with a square vibrant Opal in the center. 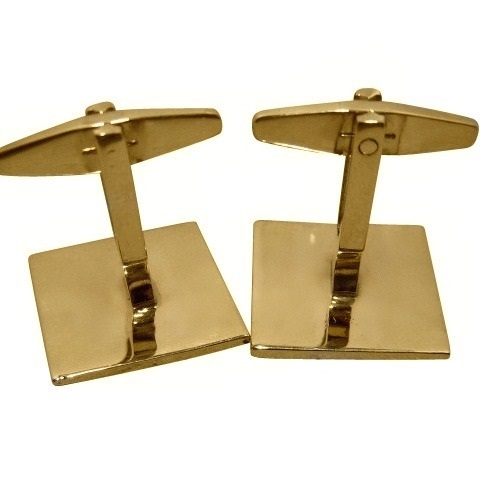 These 14k Gold cuff links are top quality and for the most discerning of gentleman. Each cuff link is square with a checkerboard look and is inlaid in the center with one gem grade Lightning Ridge Opal. The Opals are vibrant showing bright Blue and Green however as these cufflinks are Made to Order, they can be made with all Blue, all Green or Red multi color stones. They are a stylish addition to wear and would be a great gift for the man who has almost everything.